Are you a fan of leftovers? 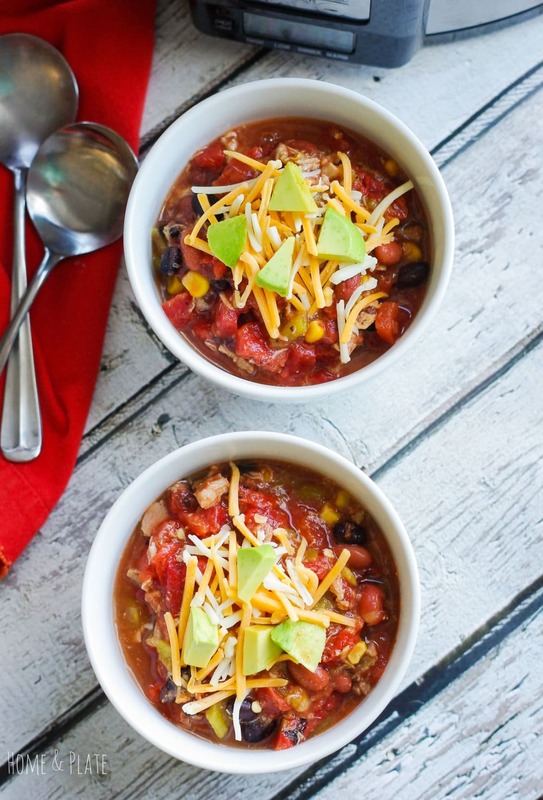 You will be after you give this leftover pulled pork chili a try. I made two pork tenderloins for dinner this week by slow cooking them in the crockpot. We used the meat to make shredded pork tacos loaded with toppings. They were delicious. But we had lots of leftover shredded pork. 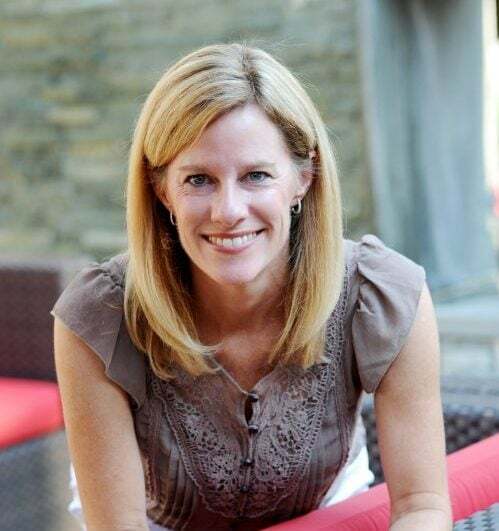 What’s a mom to do? 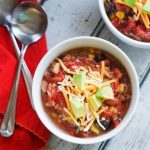 Make leftover pork tenderloin chili for an easy dinner! This recipe works great on the stove or in a crockpot. And it couldn’t be easier to make. I love it when dinner comes together easily. I usually have one kid coming home from his activity while the other is headed out the door. We don’t always get to sit down together as a family. 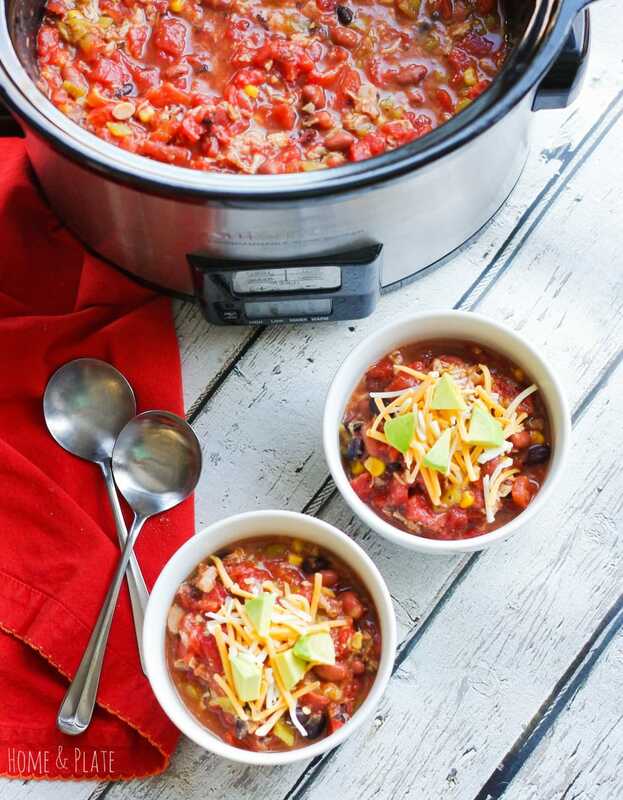 This pot of chili can stay warm until dinner time, whenever that may be. 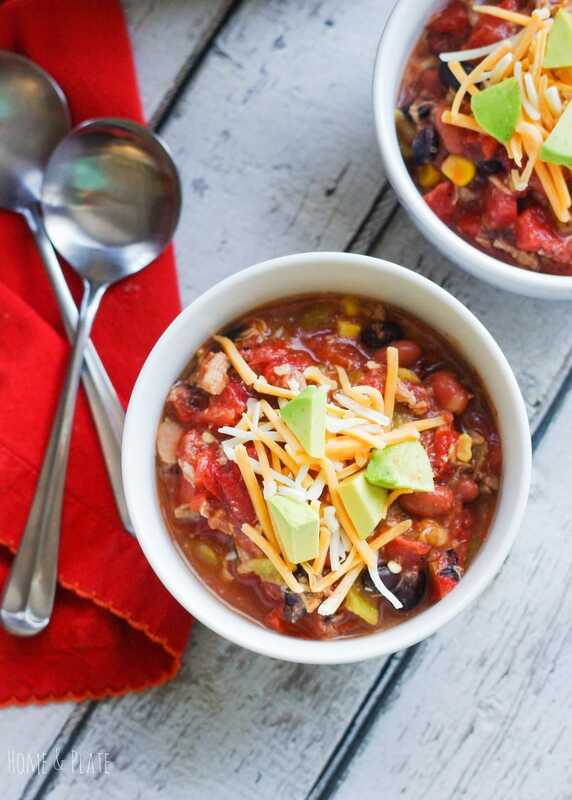 The addition of corn, black beans and green chilies gives this chili a real authentic southwestern taste. Serve it with a sprinkle of cheddar cheese and diced avocado. Do you have a favorite leftovers recipe? Share it in the comments below. Add the leftover cooked pork tenderloin, chili beans, black beans, green chilies, fire roasted tomatoes and corn to a soup pot or crockpot. Add the spices and simmer on low for 3 to 4 hours. Serve with cheddar cheese and diced avocado. Love using leftovers to create another meal! 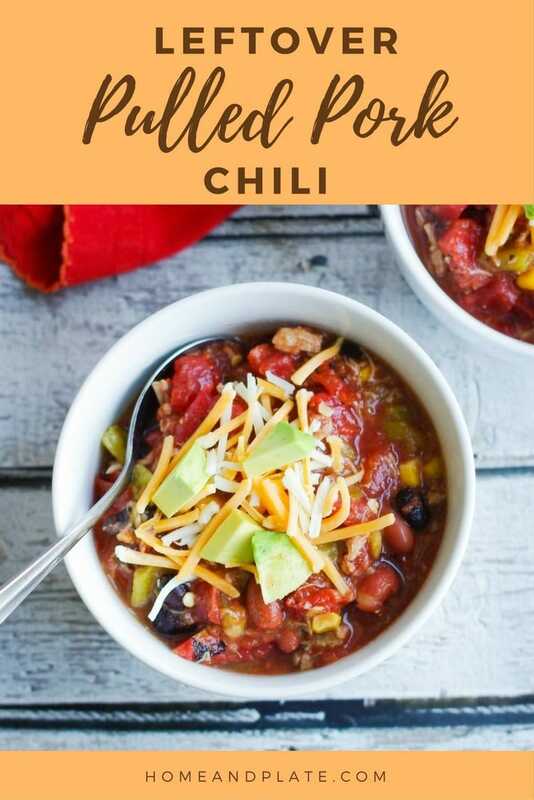 This chili is the perfect way to use leftover pulled pork! 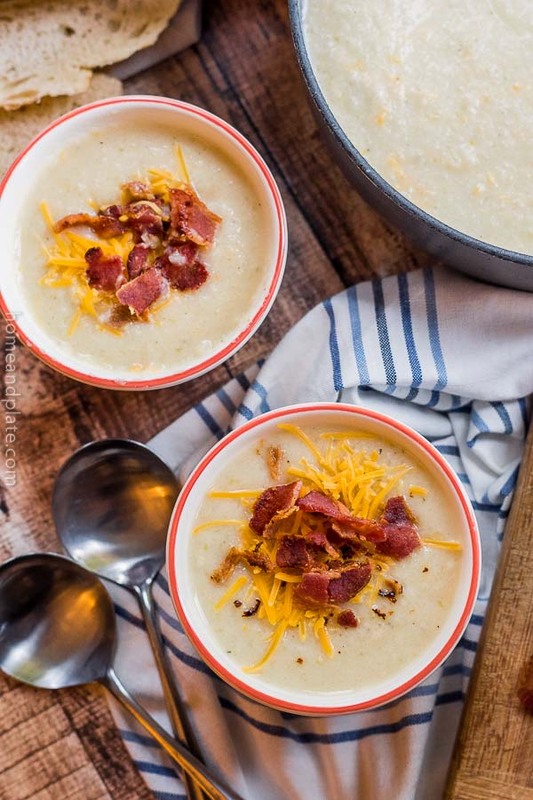 Looks so hearty and full of flavor! Thanks Lindsay. 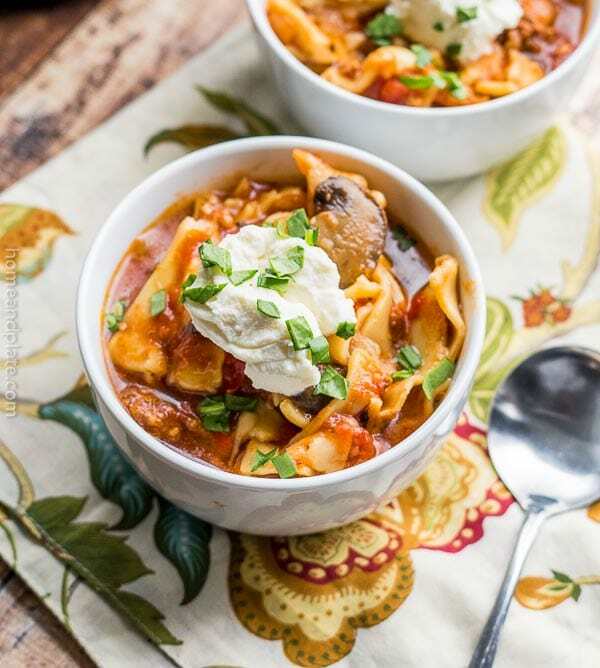 Yes it is full of flavor and an easy dinner during these cold evenings. Such a great idea for pulled pork! This looks so good! Thanks Catherine. We eat a lot of pulled pork in my house and this is such an easy recipe to get dinner on the table quickly. Well, there is no such thing as leftover pulled pork in our house, as we eat it all. But if there was, this would be a great way to use it. I agree with you Dannii. We tend to eat up leftovers too. This one is super easy with leftover pork. I LOVE a good leftover hack, and I’ve gotta say, this isn’t one. Because it’s a GREAT leftover hack- seriously, pulled pork and chili!? The perfect combo!! !